HANDBID OFFERS TRANSPARENCY, NO HIDDEN FEES, AND SIMPLE PRICING PACKAGES. Pricing tends to be an enigma in this industry. 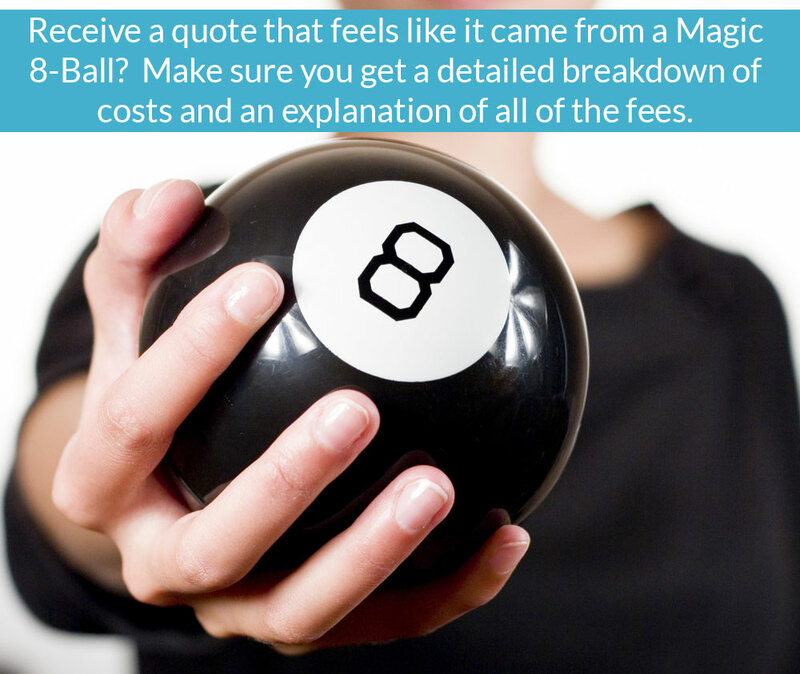 Some mobile bidding providers publishing pricing on their website and others offer quotes privately and it appear as if they used the Magic Eight Ball to determine prices. This has left customers wondering whether they are getting a good deal and if they are paying the same rates as someone else using the same provider. The lack of clarity in pricing makes it difficult for customers to make comparisons and often leads to confusion and frustration. Sometimes, when a customer tell us provider X’s quote is less than ours and asks us if we will match it (thankfully we rarely cost more), our first course of action is to determine if there is an apples to apples comparison to be made. More often there is not, or we simply can't tell based on the lack of detail in the competitive offering. All of our pricing details are in our proposals and contracts for customers to see and choose exactly what they want/need. These proposals are sometimes put up against others where the only thing provided is a lump sum estimate with no detail of what is included (or not included). I equate this to shopping for airline tickets and then picking another carrier over Southwest Airlines, only to find out after you have signed the contract that you have to pay extra for your checked luggage, your carry on bag, and of all things... your seat. We are rarely the most expensive option, but in all fairness, we are not always the cheapest. However, our customers find that we are upfront and fair with our pricing. How a company presents itself in terms of its pricing and transparency says a lot about how it will behave as your trusted fundraising partner. Keep that in mind when selecting your next mobile bidding provider. So your homework is to shop around, see who publishes their pricing and who doesn’t. Then ask yourself whether you will be getting the same deal from that company as their other clients; and ultimately, ask yourself what may show up on your final invoice that you were not expecting.